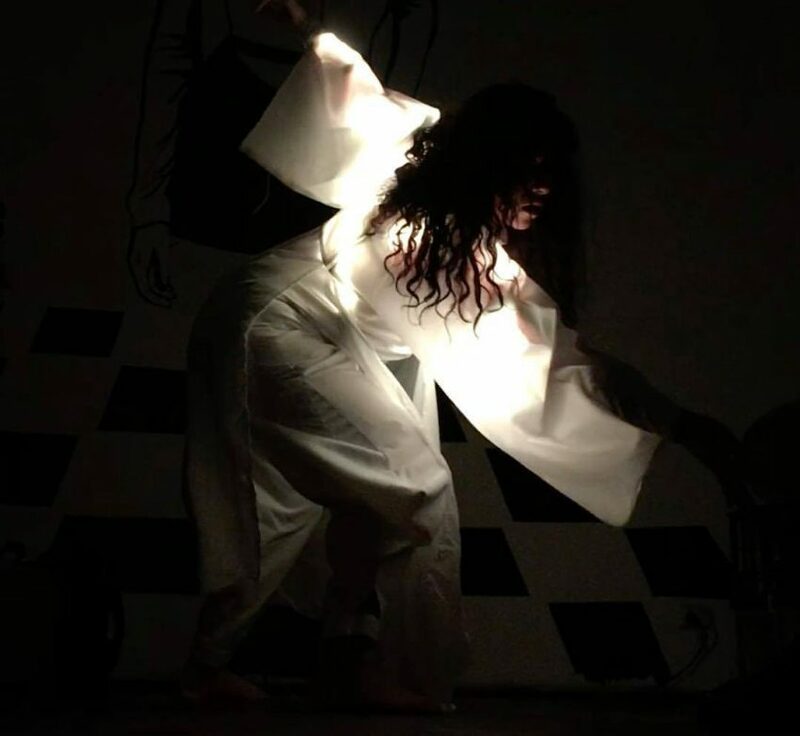 ST. VITO: This Dance Performance Looks Like a Frenzy of Tech #WearableWednesday #wearabletech #art #dance « Adafruit Industries – Makers, hackers, artists, designers and engineers! LEDs can be mystical, especially in the case of this fusion of media, dance and wearable tech. Project, ST VITO (Sensor Technology Visual Interactive Touch Orchestra) uses costumes spiked with electronics to draw the audience and encourage participation. According to their Facebook there are many possibilities. We have developed tiny wearable synthesizers, which detect changes in performers’ electrical skin resistance over their entire bodies. When the dancer or actor wearing this device is touched, their body produces tones, music loops, or sound effects. The pitch is controlled by varying the touch pressure, transforming the performers’ and audiences’ bodies into musical instruments. They’ve also added LEDs into the mix creating “screen suits” that are capable of simplistic blips or more extravagant full body visuals. Although we have seen interactive Tron Suits, these costumes have a more organic draped look, which works well for a variety of performances. In fact, ST VITO works collaboratively with other artists, performers and VJs to create interactive art. Consider it a tool for realizing new work. The most important aspect of the group’s work is the fact that they encourage the audience to participate through touching the performer. This can not only result in some interesting loops on the fly, but it also engages people that usually won’t stray from the comfort of their chairs. Are you curious about creating an interactive costume? Check out our learning guide for the Sparkle Skirt Playground. It’s an LED color show that triggers with your movement and it uses our new easy-to-learn Circuit Playground microcontroller. Start here and then expand to creating your own code based on specific movements. Choreography becomes you!